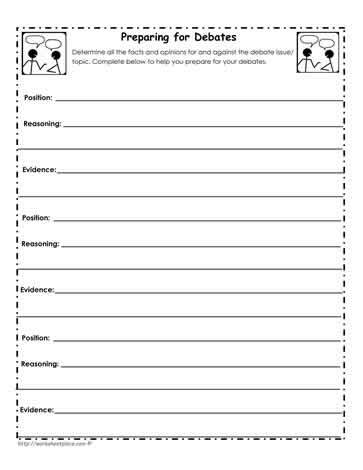 This debate graphic organizer is useful for classroom debates. State the position, the reasoning or logic and the evidence. Debating in the classroom helps students think critically and use higher level thinking skills.